The government of the largely unrecognized Republic of Abkhazia has issued an immediate ban on cryptocurrency mining – and says it will hunt down violators. The 8,660 sq km republic with a population of around 240,000 is recognized as an independent state by Russia and other nations, but is considered by the United Nations to be part of the Central Asian nation of Georgia. Georgia is one of Eurasia’s most notable mining heavyweights, home to massive state-run mining centers, operating in conjunction with companies like BitFury. And Abkhazia residents have proven just as crypto-keen as their neighbors, with many miners keen to take advantage of the republic’s low energy prices. However, Abkhazian power providers earlier this month stated that “transmission lines and substations are loaded to capacity” as cryptocurrency mining farms in the region continue to ramp up their operations. With winter temperatures falling, fears of nationwide blackouts appear to have now forced the government to act. 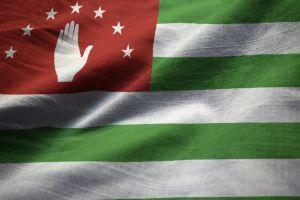 Per state news agency Apsnypress, the Abkhazia government has passed a new mining law, effective immediately. The legislation allows the republic’s state-run energy provider, the security services and the Ministry of the Interior to seek out and forcibly close farms that do not shut down immediately, bringing “both individuals and companies” to justice. The government has claimed that the measures are “temporary,” and may be repealed once providers give their consent. Power companies have also been banned from allowing cryptocurrency mining ventures to purchase excess electricity generated at the republic’s large Soviet-era hydroelectric plants. The same media outlet states that the largely unrecognized republic will also press forward with cryptocurrency- and mining-related legislation, recognizing an urgent need to provide a legal framework for regulations in the republic. Despite a global downturn, CIS-area enthusiasts appear to have lost none of their keenness for mining – withRussian villagers also suffering blackouts as a result. MBI International “top official” arrested in Malaysia, Teddy Teow?